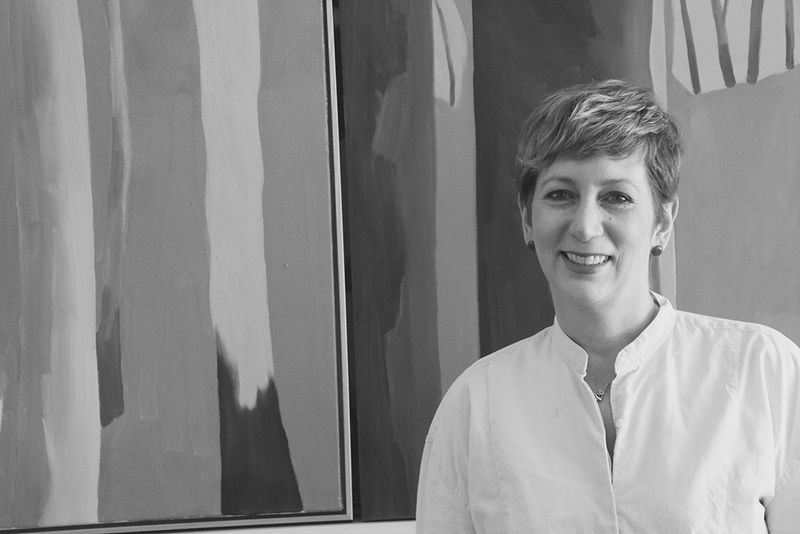 Melinda Marshman is an artist currently living and working in Sydney, recognized for her spare and reductive style, whose painting practice reflects her unique way of seeing things. 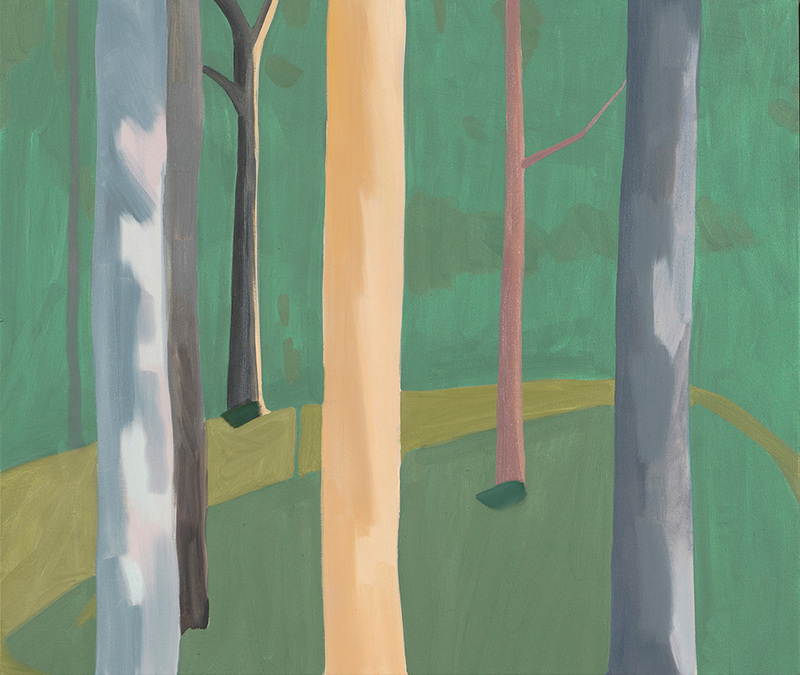 Following on from her successful 2018 exhibition at Saint Cloche ‘ROAD TRIP’, this new body of work is inspired by the concept of Shinrin-Yoku, or ‘Forest Bathing’ applying the concept to the Australian Bush. Quoting naturalist John Muir, “Between every two pine trees is a doorway leading to another life,” Melinda illuminates the philosophy behind the Japanese practice of Shinrin-Yoku or ‘Forest Bathing’. Exploring the idea that humans have grown increasingly separated from the natural world that sustains us, the disconnection from nature alienates us from ourselves. Our life force is sustained by nature; subtle energies are embodied in the vivid sensory and meditative experience and feelings derived from being in nature. 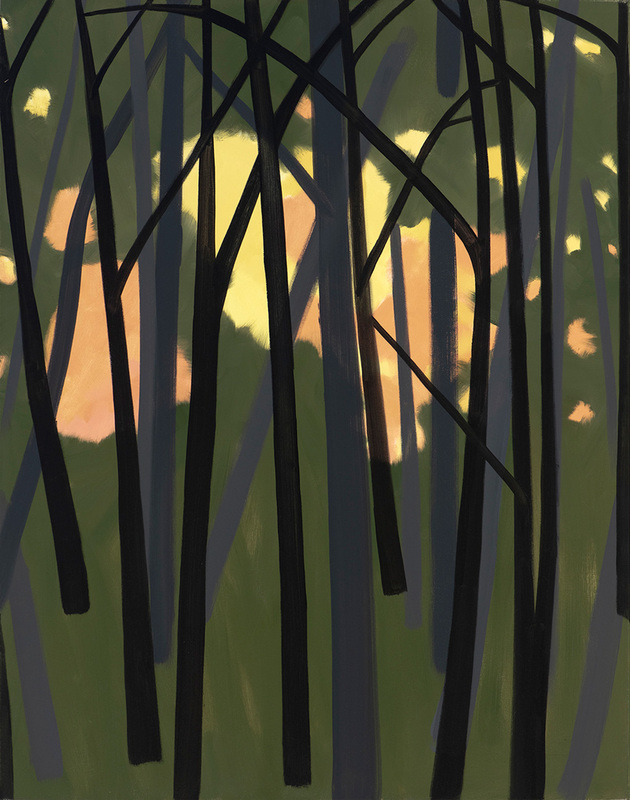 In her spare and reductive style, Melinda takes the studies made en plein air and reference photographs, and concentrates on feelings – leaving only what is needed to invoke an emotive memory, such as the flicker through the bush of the last blush of sunset. In 2014 Melinda graduated from the National Art School with Honours. 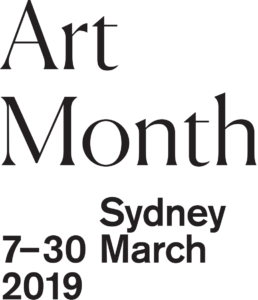 Melinda has been the recipient of numerous awards and residencies, including the NG Creative Residency, Provence (2018), The Storrier Onslow National Art School Paris Studio Residency, Cite Internationale Des Artes (2015), The Ravenswood Womans Art Prize (2018 and 2017), The Chippendale World Art Prize (2017), The Doug Moran National Portrait Prize, semi-finalist (2014), The Robin Gibson Gallery New Talent Award (2013) and The Mosman Art Prize (2011). Her work is held in private collections and the National Art School collection. Experience the healing power of nature in a beautiful leafy urban sanctuary at Saint Cloche Gallery. Relax, restore, reconnect with Melissa Turnock, a yoga, Pilates and Meditation Teacher, a TRE therapist and a energy and soul medicine practitioner. In the spirit of ‘Forest Bathing’ participants will be lead through a beautiful practice to still the mind, centre the body and reconnect to present sensations. Through gentle relaxation, breathwork and visualisations ‘Forest Bathers’ will be then guided through a ‘virtual’ forest meditation. Relaxed and in a new state of mind, participants can soak in the woodland atmosphere of ‘Forest Bathing’ by emerging artist Melinda Marshman, whilst sipping the purity of Botanical Signature’s herbal teas. 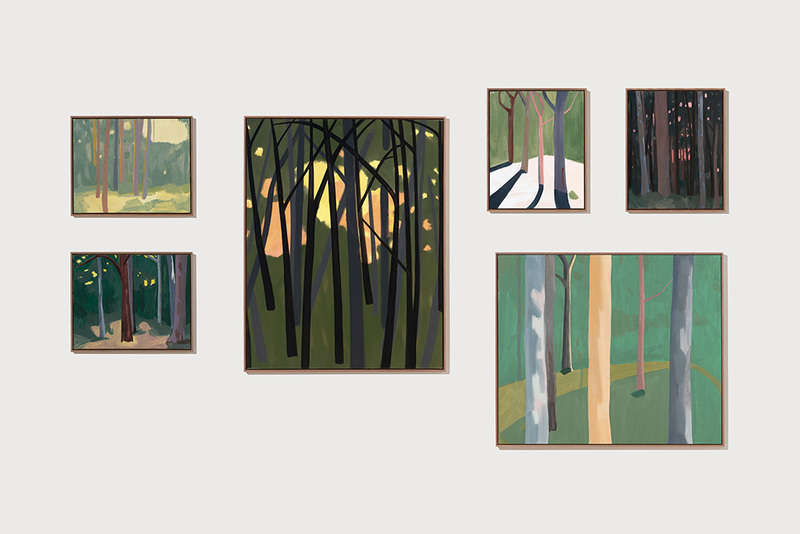 Bringing the natural world to Paddington, Melinda Marshman depicts the calming energy of forests in her latest body of work inspired by the Japanese practice of Shinrin-Yoku. Participants should wear loose comfortable clothing, yoga mats provided, or bring your own. Spaces are limited. To secure a spot, please email – info@saintcloche.com.